Ferrari 70th Anniversary helps Save the Children fund by 8.3 million euros. 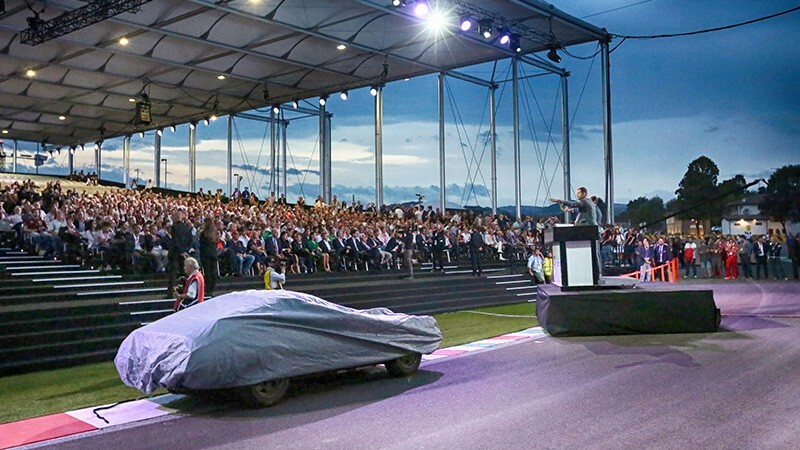 Ferrari set yet another record this year when a LaFerrari Aperta sold for a staggering 8.3 million euro at the RM Sotheby’s auction during the Prancing Horse’s 70th Anniversary celebrations at the Fiorano circuit in Italy. The proceeds from the sale of the car will be donated to Save the Children, an international organisation that works to improve the lives of disadvantaged children in over 120 countries worldwide. In this case, the funds raised will be used for educational projects in Asia and Africa. The figure is a new record for a 21st century car. The previous record of $7 million was set in December 2016 at Daytona, USA, by an exclusive LaFerrari, which went under the hammer to raise funds for earthquake victims in Central Italy. The LaFerrari auctioned on 9th September 2017 is a special extra addition to the initial 209 cars built in this limited-edition special series. It has a unique metallic Rosso Fuoco livery with double metallic Biano Italia racing stripe on its bonnet and tail. Several other extremely valuable Ferraris also sold at Fiorano, not least a California 250 GT SWB for 7.9 million euro, a 1958 250 GT Cabriolet Series I for 4.7 million and the aluminium-bodied 365 GTB/4 rediscovered in a Japanese hayloft, which changed hands for 1.8 million euro.